A couple of months ago, Google reported an incident in which one of it’s autonomous vehicles collided with an oncoming bus. It was a minor fender bender that yielded no injuries, yet it was significant for one simple reason: this is the first time that an accident involving a Google car was actually caused by our benevolent robot overlords. Although several accidents have previously been reported, investigations showed that each was actually caused by human error and not the autonomous driving software, facts that tended to add weight to the hypotheses that human operators are inferior to autonomous driving software. While most tech-news publications seemed to cover the incident with a bit of a ‘ho-hum this isn’t a big deal’ boredom, reports by traditional big media naturally took a slightly more sensationalist tone, opting to present the incident as though it provided legitimate grounds to rethink the whole enterprise of autonomous vehicles. I, for one, don’t agree with that mentality. Everyone watching the development of autonomous vehicles expected that, eventually, a self-driving vehicle would cause an accident. The fact that it finally happened doesn’t tell us anything new about the safety of autonomous vehicles–Google’s self-driving cars still boast a safety record that puts human drivers to shame–however, watching the way the media, the public, and Google have reacted to the incident, may be revealing. I am encouraged by Googles response. They were very transparent about the accident, quickly accepting their share of the blame and publishing reports disclosing the nature of the error. Google has embraced a fairly high degree of openness with this project, and I am encouraged that this minor bump in the road did not cause them to stray from that approach. I believe they know that the technical challenges are not the most difficult problem they need to solve in the development of autonomous vehicles. 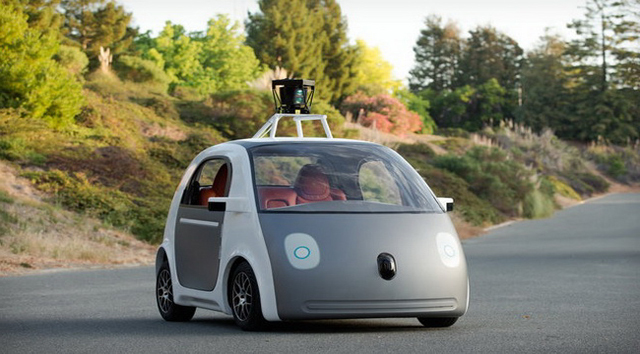 If Google is to succeed in bringing autonomous cars to market, they need to reshape public perception. Public acceptance is a necessary predicate to market relevance, and at this moment there is still progress to be made. A fairly recent survey by the University of Michigan’s Transportation Research Institute revealed that around 44% of survey respondents didn’t want to see vehicles with any autonomous capabilities, and over 90% wanted to retain at least some access to driving controls. Google’s consistent public engagement and openness with respect to testing results has played an important, and I believe deliberate, role in paving the way for public acceptance. Frequent news coverage, adoption by trusted automotive brand names, not to mention the higher comfort level of younger generations with new technology, will all also play a significant role in creating public acceptance once the technology is ready to be rolled out to the public. Google has also recently taken a more aggressive approach to laying regulatory groundwork for the sale autonomous vehicles. I commented in my earlier article on this subject that legal or regulatory hurdles could delay the roll-out of autonomous vehicles, so stakeholders should make a concerted effort at an early stage to push for national standards that would allow, and require, fully autonomous vehicles. It seems that Google has taken a big step forward in that regard. In a March 18 letter to US Transportation Secretary Anthony Foxx, Google proposed a framework for fast-tracking regulatory approval of the sale of autonomous vehicles so long as the vehicle in question passes safety standards. By increasing the power vested in the Department of Transportation to regulate autonomous vehicles and establish nationally consistent safety standards, this approach would avoid the much lengthier process of amending existing legislation, and the related problem of conflicting state regulations. One piece of information from the incident report that I found tangentially interesting was the report’s discussion of the mapping system used by autonomous vehicles to create a 3D map of the world around it. The cars send out pulses of light to map and identify their immediate surroundings, and then uses that data in tandem with information from preexisting map information. Now, imagine a world in which every car on the road is using this system to capture real time mapping information, and where this wealth of data is used and analyzed by a single corporate entity (or organization of subsidiary entities). I’ll leave the surveillance and privacy issues for another day, and the big-brother doomsday speculation to conspiracy theorists, but one’s imagination need not wander far to spot the inherent dangers of such a system. The recent litigation involving Apple and the federal government has highlighted the abundant risks attached to information-system technologies that operate as data-rich repositories housing all of our private data, as well as the strong desire by federal government to tap into that resource to solve problems for the “greater good.” While I am happy that Apple took up the good fight and refused to succumb to federal pressures, and while Google generally has reputation for adhering to their “don’t be evil” mantra, the conflicts over privacy issues will only become more heated once autonomous vehicles have created a worldwide network of vehicle-slash-surveillance devices. I continue to keep an eye on this very fascinating, and very important, area of tech, as well as the unique legal challenges it presents. Recent developments give me hope that self-driving cars will be on the roads even sooner than anticipated, bringing us a safer, and less road-rage filled, world.